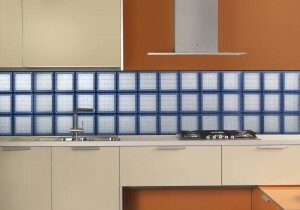 Have you ever seen a mosaic tile that could transmit light? If your answer is no – you are not alone! Fortunately there is an exciting new product called a mosaic tile glass block which can achieve this objective and add a lot of style to a room as well. 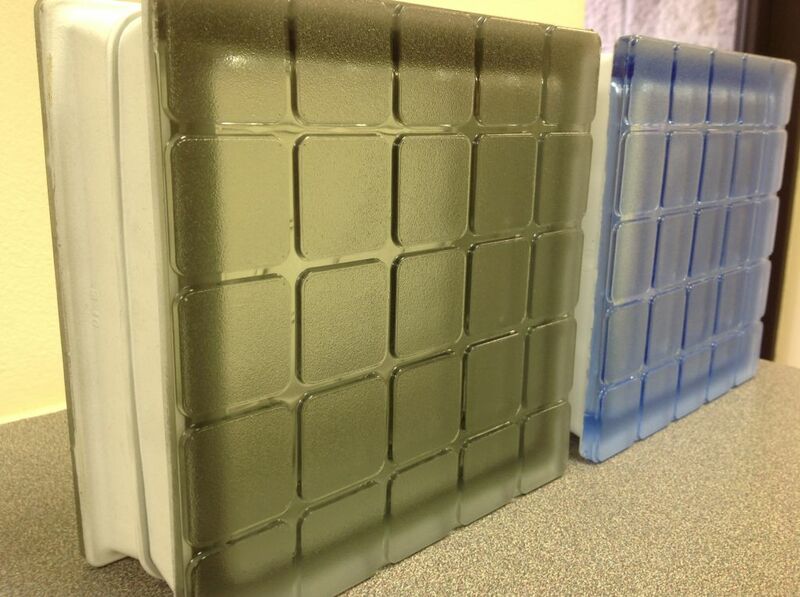 Learn below about the features, benefits and uses of these new 3 dimensional glass blocks. 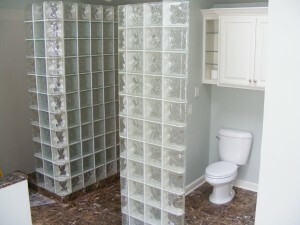 A recurring question for people who want to build a glass block wall is how to finish the top of the wall. Similar to the answer to most questions is it all depends. Learn below the most common options to finish the top of a glass block wall (whether it is used as a partition or conference wall or shower enclosure) and what factors you should consider when choosing the best option for your project. Have you ever gone to a place where luxury boats are docked and thought how cool it would be to live on a houseboat with all the features and benefits of a high end home? 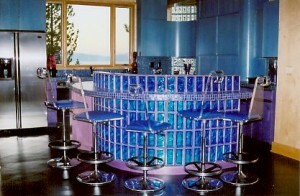 It is just those kinds of dreams that companies like Thoroughbred Houseboats make into reality. If you can create it on land then Shawn Heinen (President of Thoroughbred) can usually make it come to life for a home on the water as well. 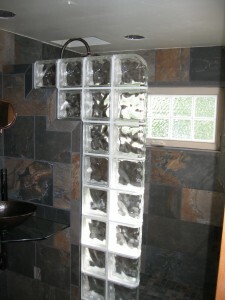 When a new customer of Thoroughbred’s came to visit one Thoroughbred’s existing houseboats one luxury feature that caught their eye was the use of a glass block shower wall. 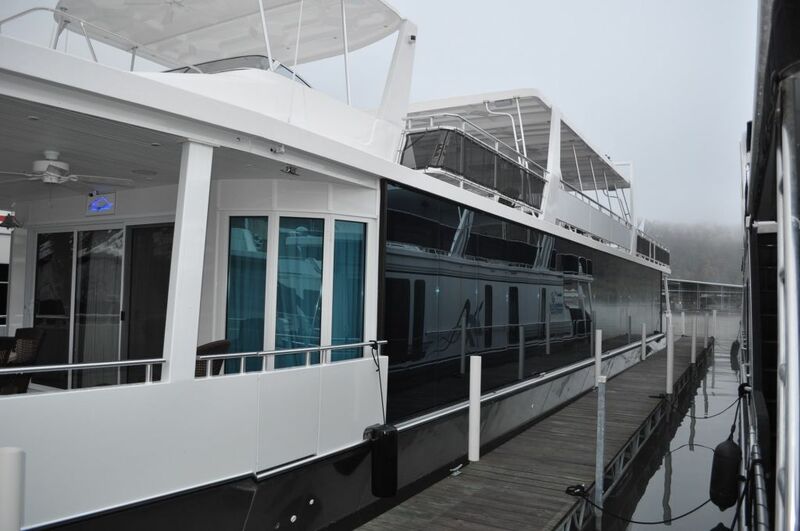 In this article you’ll learn more about this luxury houseboat, where it is docked and how the glass block shower and partition walls progressed from a design concept to a finished project. 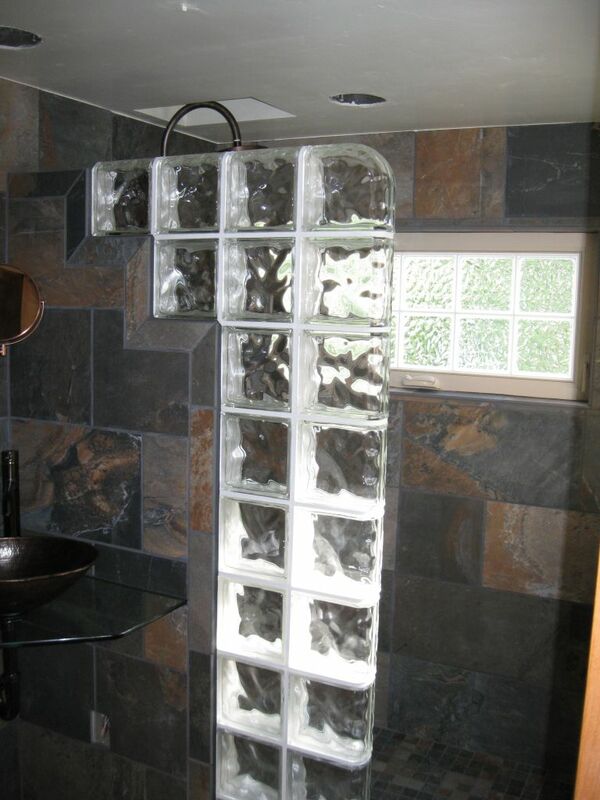 Are you looking to add some interesting shaped or design to a glass block wall project but unsure how to accomplish this? 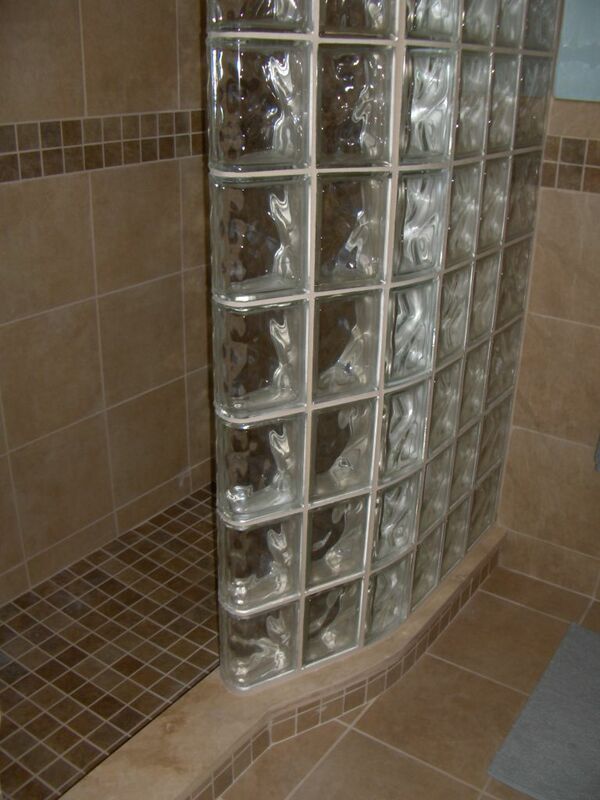 With the development of shaped glass blocks you can turn an ordinary project into an extraordinary project. 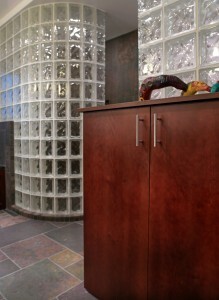 This article will focus on how best to use the 90 degree angled corner glass block. 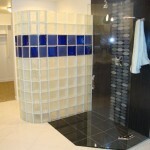 A curved wall can be cool, sleek, and contemporary design – this can really make a shower, wall or partition stand out. The problem with this type of project for most people has usually been cost. The creation of the Arque finishing block (by Pittsburgh Corning) and the 22 degree Variant block (by Mulia) has created a cost effective solution to this problem. Below you’ll learn more about these products (their sizes & patterns, advantages and disadvantages and decorative options). 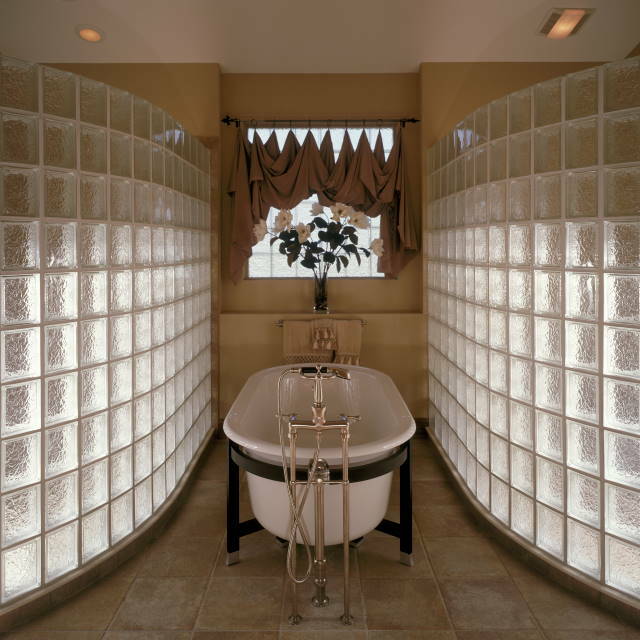 Although many people like the idea of a glass block wall – the question is how do you finish off the end of the wall to make it look good. The development of the glass block finishing unit created an excellent solution to this problem. 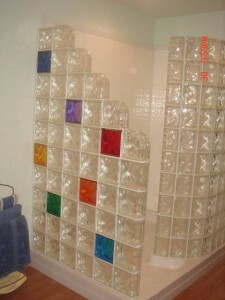 Below you’ll learn about this product, it’s advantages/disadvantages and decorative options. Why have a generic space when you can make it cool? 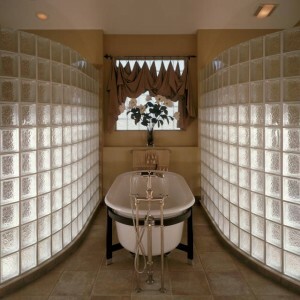 Most people assume a curved shower or partition wall is way beyond their budget – and if you’re looking at a curved, bent and tempered glass wall you’re probably right. But there is an answer to get a cool, modular and functional radius wall without having to hit up your friends and relatives for a loan – it’s with glass blocks. 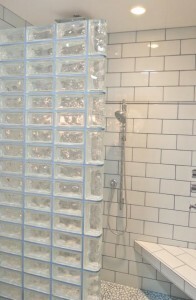 Read these 5 tips to achieve a cool, practical and fully customizable shower wall or partition wall for a bathroom, kitchen, basement or commercial renovation project. 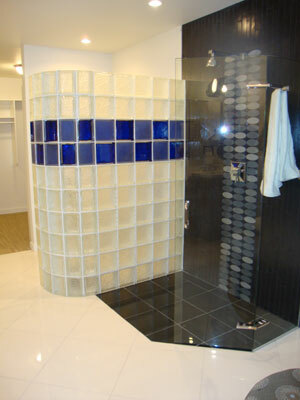 Glass block shower wall with a blue glass block stripe. 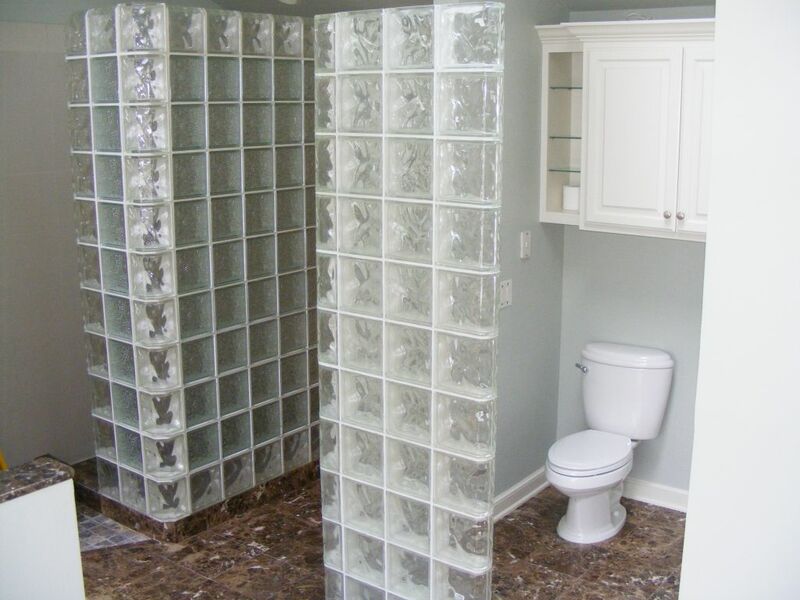 If you’re looking for a way to make a stylish glass wall cost effectively I would recommend considering a frosted or colored glass block wall. 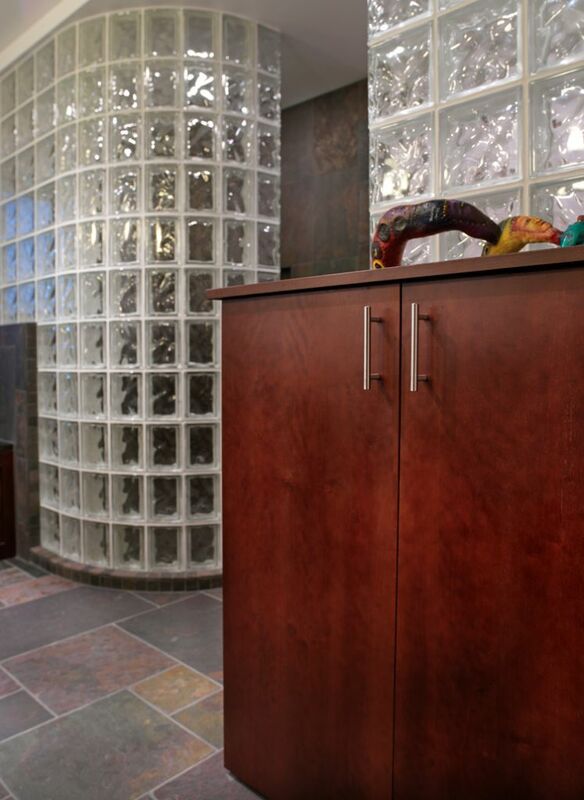 Whether you’re building a shower stall, conference room, interior partition wall, or a recreation room bar – a glass block wall with colors can add style, structure and move light. 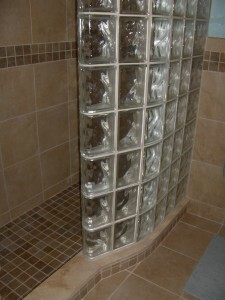 Other places colored glass blocks have been used is in church windows, exterior windows on the side of homes, transoms, and kitchen backsplashes.